If you haven’t taken the time to secure your wealth, then you could be in danger of losing it. Let our estate planning lawyers explain some of the effective asset protection strategies that can benefit you. It’s often been noted that wealth isn’t always all that it’s cracked up to be. As more than one client has observed, getting wealth is one thing; keeping it is something else entirely. That’s true for all of us, of course, since don’t have to be wealthy for your assets to be at risk. For most of us, insurance is the only real asset protection we’ve ever known – though many people may not recognize it as asset protection. We buy insurance to protect ourselves from liability for accidents, negligence, and other situations that might otherwise expose our personal assets to lawsuits. We buy homeowners’ insurance, business insurance, and professional coverage for the same reason. No homeowner wants to be sued by someone who suffers an injury on the property. No business wants to face a product liability or accident suit. Doctors and nurses want to avoid lawsuits that might impact their personal assets. We all seek to protect ourselves from the unexpected. You should always review your insurance policies with your estate planning attorney to ensure that you’re comfortable with the amount of insurance you have. In some instances, you may need to add more coverage to protect against threats you failed to identify. You might even find that you have more coverage than you need in certain areas and that a reduction in that coverage could free up resources . 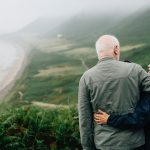 Estate planning lawyers can help you to find balance in your insurance coverage to maximize the effectiveness of every dollar that you’re devoting to that protection. If you are the sole owner of a business or in partnership with someone else, you should consider using a business entity that can better shield your personal assets from lawsuits. With sole proprietorships and partnerships, any liability that you have with your business can expose your personal assets to risk as well. That means that a lawsuit brought by a plaintiff who suffered an injury on your premises could be directed at both your business and personal assets. That could leave everything that you own at risk for loss. There are better options, of course. When your company is organized as a limited liability company (LLC), you can enjoy much of the freedom to operate that you experienced as a sole owner or partner, but also gain asset protections that help to separate your business assets from your personal wealth. Thus, if someone falls and hurts themselves in your store, they could sue your business just as though you were a sole proprietor. Thanks to the protections afforded by an LLC, however, that lawsuit may not place your personal assets at risk for loss. Your liability would be limited to the money you have invested in your business enterprise. When it comes to broad asset protection, there are few options that are more effective than irrevocable trusts. 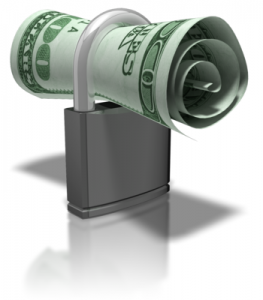 Their ability to protect assets is derived from the fact that assets placed in the trust are no longer yours. Unlike a revocable trust, the irrevocable trust provides no opportunity for you to simply dissolve the trust and reclaim ownership of the assets. Instead, those assets remain outside of your reach forever – and since you cannot access that wealth, it cannot be accessed by litigants or creditors either. More than that, though, the irrevocable trust can provide protection against estate tax liability and can even shield assets from being considered as part of your estate when you’re applying for government benefits like Medicaid. For those reasons, irrevocable trusts are an important part of many estate plans and can be used for everything from life insurance protection to special needs planning. And since your trust can be created in a way that enables you to still benefit from the income that those assets produce, there can be other upsides as well. Join us for a FREE seminar today! 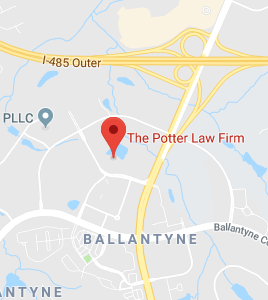 If you have questions regarding asset protection strategies or any other estate planning matters, please contact the experienced attorneys at The Potter Law Firm for a consultation. You can contact us either online or by calling us at (704) 944-3245 (Charlotte, NC, or Huntersville, NC) or for individuals in Kentucky at (606) 324-5516 (Ashland, KY) or at (859) 372-6655 (Florence, KY).